Yasmanth – Share. Preserve. Protect. Yasmanth is a 501(c)(3) non-profit devoted to protecting endangered cultures from becoming extinct. We’ve been around since 2007. Through cultural exchanges, performances, interactive workshops, and travelling exhibits, Yasmanth raises awareness for cultures at risk of being forgotten. In addition, we lead projects for underprivileged youth to embrace their heritage and rise above their surroundings. At Yasmanth, we believe that the only way to move forward in union is to honor the rich, vibrant cultures of our heritage that make us diverse. Through dance and music we hope to teach tolerance and respect, and help create a world with equal opportunities for all. Yasmanth was founded in 2007 during a cultural exchange in Cartagena, Colombia. Since then, Yasmanth has launched Rhythms of Culture – Children Helping Children, Aurora Over the Silk Road, and S-A-F-E (Sharing the Arts of Free Expression). All three programs were started with the mission to empower youth to connect with their heritage and rise above their surroundings to positively impact their lives and communities. Since our inception, Yasmanth has reached thousands through national and international tours and workshop. We don’t plan on stopping anytime soon. Yasmanth was co-founded by siblings Anthony and Yasmine Garay. Currently, it is run by Yasmine while Anthony contributes in a consultant capacity. 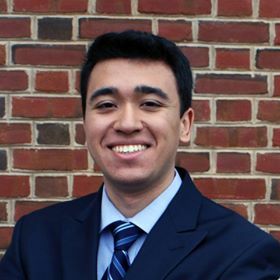 Currently a junior at Johns Hopkins University, Whiting School of Engineering, Anthony is studying Computer Engineering with a minor in Entrepreneurship. He is passionate about community outreach in the context of entrepreneurship and equal opportunity to education. In addition, he is proficient in the Darbuka, a Middle-Eastern drum he performs with during Aurora Over the Silk Road events. Anthony maintains a passion for helping others and believes in the power of community. 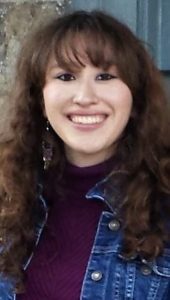 A senior in high-school, Yasmine is a fierce believer in the power of dance, music, and language to unite individuals from all backgrounds. She persistently works to challenge the basis of prejudice and intolerance through programs such as S-A-F-E, her personal project to give immigrants and refugees a safe environment in which to share their cultures while at the same time forging a sense of community in their new homes. Dancing for the past fifteen years, Yasmine is dedicated to preserving her heritage through performing and teaching her ancestral dances as part of Rhythms of Culture and Aurora Over the Silk Road. Above all, Yasmine believes in education and free expression, and hopes encouraging both in children is the key to achieving a world of equality, respect, and tolerance. Yasmanth’s newest program, S-A-F-E, is scheduled to launch in 2018. Its main purpose is to help create safe spaces for immigrants and refugees to openly share and teach their cultures within their new surroundings. This will be accomplished by working with local cultural centers, schools, and libraries to host events that encourage cultural exchange. The hope is to foster creative environments where newcomers feel welcomed and can share a little of their homes with their new communities.